The following are the procedures for removing Spots & Stains from Carpet & Upholstery. In general, remove spots as soon as possible following a spill or other causes. When working on a spot or stain, a bone scraper is recommended to remove caked soil or light agitation with a soft brush or towel. Always exercise caution not to fray, scratch or damage fibres with aggressive rubbing or agitation. Always work from the outside edge to the centre of the spot to avoid spreading the problem. Remember that scissors are the ultimate stain remover. Burns often can be fixed acceptably by careful scrapping and trimming of burnt fibres. NOTE: In all cases start with ZIP IT Spot & Stain Remover. However if all else fails follow the procedures below commencing with step A if unsuccessful proceed to B and so on. Be sure to rinse the treated area thoroughly with CFR hand tool to promote faster drying. 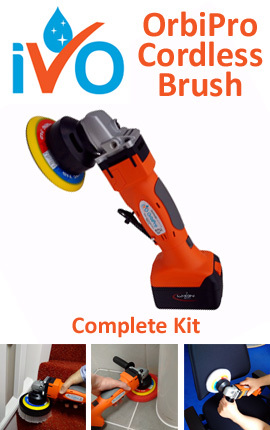 A Apply Super Solv, agitate lightly (bone scraper, soft brush, towel) and rinse with CFR hand tool. In case of chewing gum use Rid A Gum. B Apply detergent solution, agitate lightly, and rinse with CFR hand tool. If still present apply EnZ-Out and rinse with CFR hand tool. C Apply Super Solv, apply detergent, agitate lightly and rinse with CFR hand tool. Apply lacquer thinner and rinse with CFR hand tool. Apply EnZ-Out cleaner if necessary. D Apply Pop-Out and rinse with CFR hand tool. Apply BW Stain-A-Way and rinse with CFR hand tool. Repeat if necessary. E Apply Pop-Out and rinse with CFR hand tool. Apply ammonia and rinse with CFR hand tool. F Apply EnZ-Out and rinse with CFR hand tool. When using this procedure on urine apply CFR Deo-Reo following cleaning. G Apply Super Solv, agitate lightly (bone scraper, soft brush, towel) and rinse with CFR hand tool. H Apply Super Solv, apply detergent, agitate lightly and rinse with CFR hand tool. Certain ink stains may require using alcohol to remove. 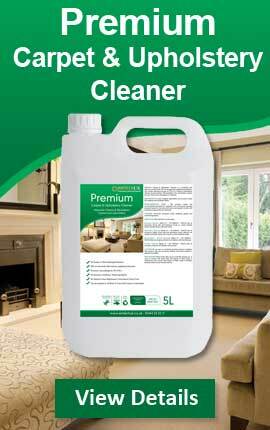 Pre-test all chemicals on carpets and upholstery for colourfastness before using them in any cleaning procedure. Apply all spotting agents with a hand held trigger sprayer. Thoroughly wetting is normally required however taking care not to soak the stain deeper into the fabric.